Choco and Mimi are best friends in eighth grade. 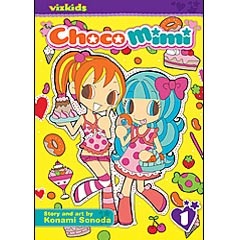 Choco is serious and reliable, while Mimi is a bit spoiled and a lot silly, but they're both super-cute and ultra-stylish! A new boy transfers to the girls' class, and he just might be Choco's type! But will romance come between the best friends?! Or will Mimi's crazy antics scare him away? !